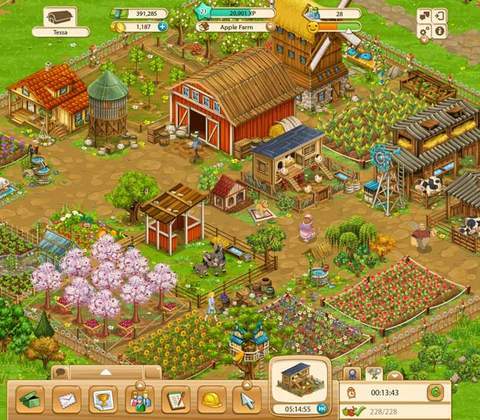 A colorful farming game - One of the best farming games around, Big Farm engages you in a struggle towards balancing your resources and establishing an excellent farm. With a multiplayer option with great game modes, the game really promises to be a great experience.
. 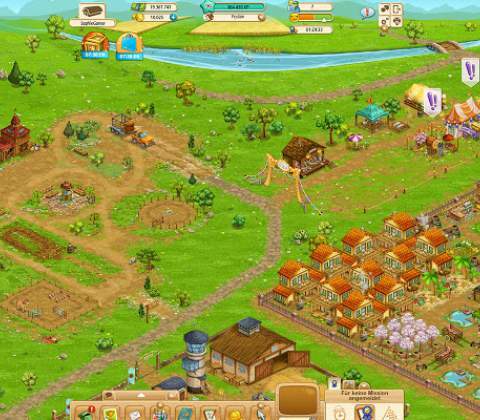 Instead, you completely rely on yourself and the resources that you generate to boost crop generation, harvesting and the growth of your livestock. For example, collecting eggs or products of other livestock makes you get fertilizer, which in turn helps you make your crops grow faster. In a nut shell, as your farm grows, you get more production and as a consequence, generate more profit. Just as there is no need to wait and waste time unnecessarily in Big Farm, there is no requirement of getting a special item from a friend in the game, which clearly makes things a lot less complicated. However, the concept of premium currency is not lost to the game, which contains certain ways of hiring special personnel to dramatically boost crop growth and maximize profits. 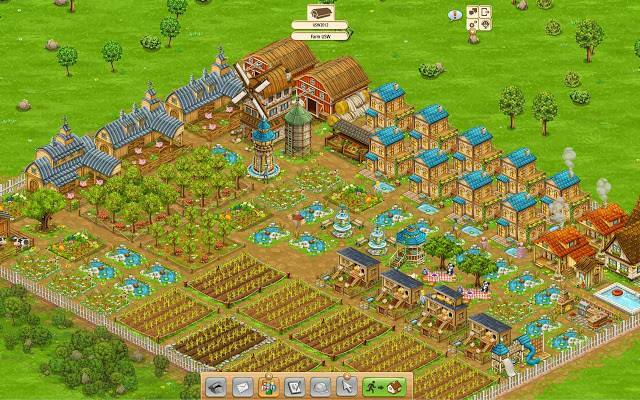 Although the graphics of Big Farm are nice and colorful, they fail to deliver complete detail of the in-game characters. You can see the farmers moving across the crops and stop here and there as they work, however, their facial details and physical features are not shown in the best possible way. Moreover, the dialogue in the game is not really the best and the written text is very small in size and not easily readable. Therefore, even if you initially had a good deal of interest in the storyline, it seems to get blown away because of the difficulty with which you tend to read the dialogue.
. 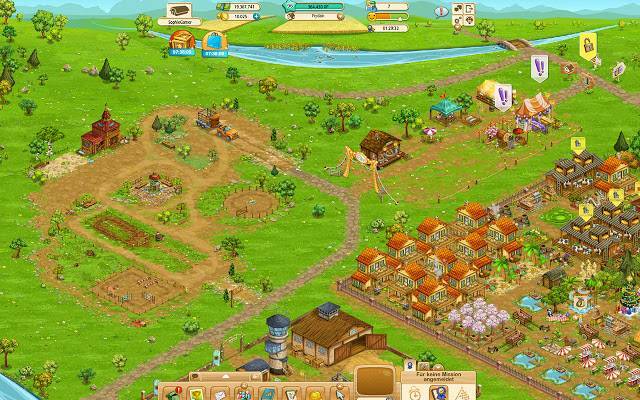 So you just have to manage your resources, balance your seeds, animals and harvest and sell your produce to be the best. 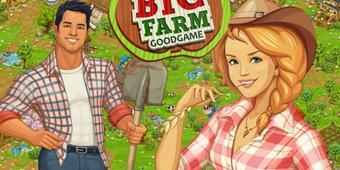 Big Farm is one of the most complete and engaging farming games around. The detail with which any structure can be upgraded and orders be given through it are marvelous and the colorful graphics add a touch of liveliness to the game. But even though the graphics look sharp, they are not fine enough for you to be able to see the details of farmers and other objects clearly. Moreover, the size of the dialogue text is way smaller than what it should be and that makes it very difficult to be read. 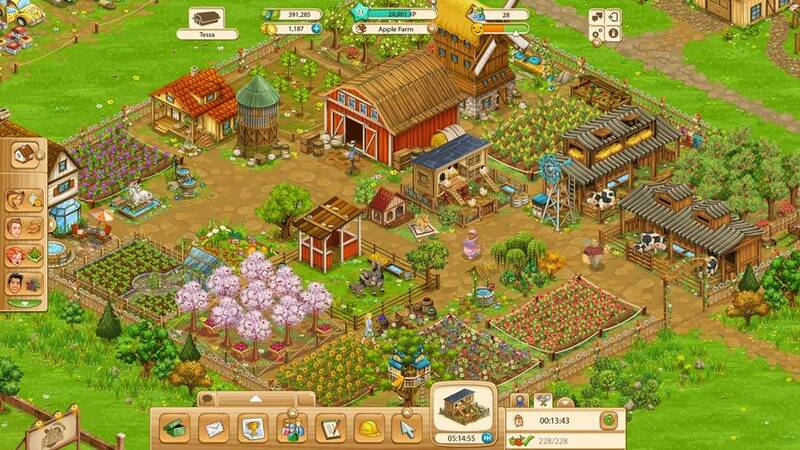 Ready to enter the world of Big Farm? Click here to play now!